A study by Indian Electrical & Electronics Manufacturers' Association shows industrial and engineering companies had one of their best times during the first half of 2018. Growth in industrial activity might have dropped to a 17-month low of 0.5 per cent in November, but a study by Indian Electrical & Electronics Manufacturers' Association (IEEMA) shows that industrial and engineering companies had one of their best times during the first half of 2018. According to IEEMA, growth in electrical equipment industry (EEI) rose to a five-year high of 19 per cent (year-on-year) in the first half of 2018-19, driven by industries like energy meters, cables and wires, transformers, capacitators and switchgear. 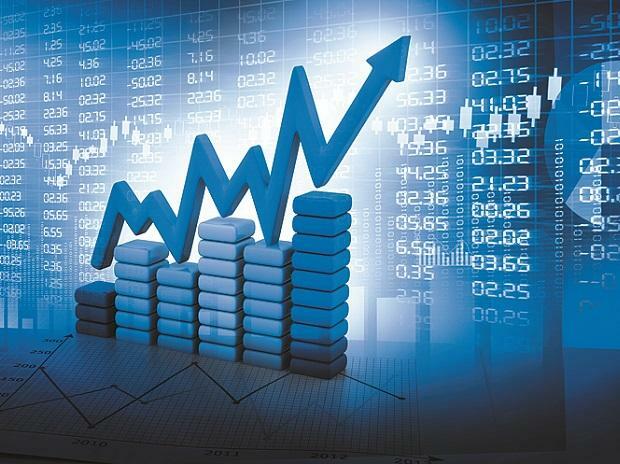 EEI growth in the second quarter of FY19 stood at 28 per cent, against 11 per cent in the first quarter, Elara Capital said in a recent research report, citing IEEMA. Going forward, the prospects of EEI and EPC players like KEC International, Kalpataru Power, KEI Industries, CG Power, ABB India, Havells India, V-Guard Industries and L&T look promising, owing to a slew of initiatives and changes in the power and infra sector. "We believe KEC is likely to be a major beneficiary of improved opportunities in railways and international T&D (transmission & distribution) businesses," said Edelweiss Securities analysts in a Q3 preview note. The brokerage firm said it liked KEC’s business approach of incubating businesses that were scalable and had higher return on equity (RoE) and yet were light on the balance sheet. It expects the company's Q3 revenues to rise 13 per cent YoY while margins are expected to remain healthy in excess of 10 per cent. Working capital, however, will be the key monitorable. The company is also one of the top picks of Elara Capital, which has recommended a 'buy' rating on the stock with a target price of Rs 425. The railway department has set forth plans for expansion and also upgrade and modernisation of existing infrastructure. The FY19 Budget outlay of Rs 1.48 trillion is expected to augur well for the sector, note analysts at Karvy Broking. Also, the track commissioning is expected to increase to 16,000 km during FY19. As a result, EPC players like KEC International and Kalpataru Power are also expecting double revenues from the railway segment. Considering this, the brokerage firm has initiated the coverage on KEC and Kalpataru Power with a 'buy' rating for the target price of Rs 376 and Rs 497, respectively. Electrical equipment market production is forecast to reach Rs 5 trillion by 2022 from Rs 1.75 trillion in 2017-18 and engineering research and design segment revenues to increase fourfold by 2020, according to a recent report by India Brand Equity Foundation. Edelweiss Securities expects 14 per cent YoY growth in core EPC revenues for L&T, led mainly by the infra segment. Services businesses are expected to grow at a healthy rate in excess of 25 per cent. Key monitorables include working capital and order inflow. Harshit Kapadia, research analyst at Elara Capital, is bullish on CG Power and KEI industries as well. The analyst has a 'buy' ratings on both the stocks with target prices of Rs 75 and Rs 480, respectively. According to IEEMA, the electrical equipment industry rose 4 per cent to Rs 1.2 trillion in FY18. Cables & wires, the largest segment of EEI, with a market size of Rs 49,000 crore, grew 19 per cent YoY. It constitutes 42 per cent of the total market. The transmission line industry (18 per cent) size is estimated to be Rs 20,600 crore, up 45 per cent YoY, driven by a sharp rise in the prices of steel billets. The switchgears industry size is around Rs 20,500 crore, up 5 per cent. Transformers is estimated to be Rs 13,700 crore, up 11 per cent YoY. Motors & generators stands at Rs 7,500 crore, up 8 per cent YoY. Other stocks on which Elara Capital has a positive view include ABB India, Havells India and V-Guard Industries.